So she is very proud of herself for creating a mango and strawberry. Could be a future in graphic design here!!! The other exciting thing I did today was downloading a new book to my kobo. Why is it that as teachers we urge children to be voracious readers, yet I only seem to have enough time to read on the holidays? One of life's injustices. With the holidays here I plan to get a few new products in my store including some freebies, so keep an eye out! 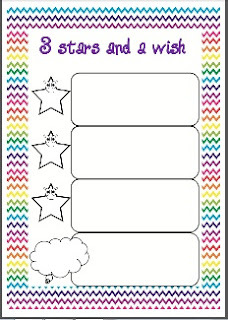 Just posted a freebie on my TpT store called 3 stars and a wish. I use this at the beginning of the school year and revisit it every term. 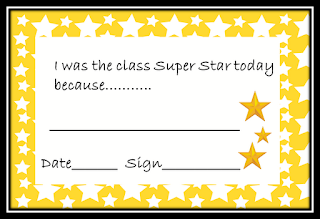 Students write or draw 3 things they are good at (the stars) and something they would like to be good at (the wish). This starts everyone on a positive note, builds self esteem and gives students a goal to work towards. At the end of the term we revisit the sheet and discuss whether things have changed and what we can do to set a new goal. This is also a great way to find out more about your students and their interests. All in all its a win, win activity! Just click on the pic below to go to my TpT store. Just wanted to share a pic of my kids playing my place value game Higher or Lower (available at my TpT store.) They really enjoy playing this game when we do maths tubs and they can be quite competitive. It is great to be a "fly on the wall" and listen to the strategies they use to work out if they can make a higher or lower number. The students in this pic are in grade 3 so they are using 4 dice, but I also have students that are in grade 2 and only use 2 or 3 dice. I have just started using maths tubs in my room this year as an explicit teaching component, I used to do it as rotational activities. This year because of programs that I have to fit into my classroom as a school expectation I have changed my math routine a bit. Maths Mentals, in a 2/3 class it can be a bit tricky to challenge the more advanced students while allowing the less able children the chance to achieve. I have also been bored out of my brain with Maths Mentals. Most of the other classes use Maths Mentals text books but I like to be able to have a focus on what is going on in the classroom, so this is what I have done to "fun" it up. On the slide I put the questions on a flip button with a timer, so all I have to do is set it up for the week and put the timer on. The students love to flip the question to get the answer. For each day I will put a variety of quick problems across the strands so even though it may be Wacky Word Problem Wednesday I will have measurement, geometry or number problems. Whole class independent practice (sometimes this is from their text book), with a small group withdrawn for support or extra instruction. Maths Tubs for the last 20 minutes of the lesson- I have 6 tubs that are related to the Strands from our curriculum. Number, Operations, Measurement, Patterns and Algebra, Space and Geometry and Chance and Data. These are independent activities and I take this time to observe the groups and make notes. It is great to see that the students actually cheer when I say time for Maths Tubs and I know that I am able to cover all strands in every group each week. The kids like the structure and I like that their is variety in my groupings and the students have a chance to learn in many different ways. I would love to hear from others on how they run their maths sessions. 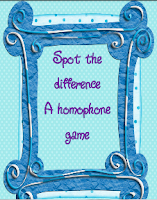 Just uploaded a new resource to my TpT store called Spot the Difference- a homophone activity. This game takes students beyond just matching words, they have to make the word first then match the homophone. Click on the pic below to take you to my TpT store. When students have made the words they then record them on the recording sheet and write a sentence using a homophone pair. Great to use in Daily 5. 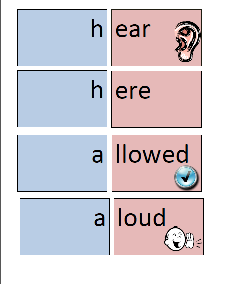 The next resource I am working on is for word building, a concept some of my kiddies are struggling with. I wanted to tell you about a special student in my class, for privacy reasons we will call her Mary. Mary is profoundly deaf and has many learning difficulties that means she is below grade level compared to her peers. She has a number of hurdles she must overcome each day, just to get to school. She has severe eczema over her entire body which requires constant monitoring and an eye condition that requires her to have antibiotic ointment everyday and throughout the day, she has a lot of trouble with motor skills both gross and fine. She sees a number of medical specialists and has two cochlear implants. This has made an enormous difference to her, however because she didn't have any type of hearing aid until she was about 4 yrs old she has missed all the oral language young children receive in the early years of life. The reason I think this student is so special is not because of her special needs in the classroom but because every day she turns up to school with a huge smile on her face and the best sound I hear all day is the sound of her laughter. It reminds me everyday how fortunate I am to have two healthy, happy children and that no matter what life throws at me I always have something to smile about. Below is a pic of "Mary" learning which fingers to use for each vowel. We use many resources in the classroom to help with sign language including putting up the signs around the classroom for objects, colours etc. This way other students are able to communicate with Mary as well. We sing songs using sign and we have picture books with the signs as well as text, we also roster "play dates" with her peers and teach them how to ask her to play. We are in the process of making some IWB pages that other classes will be able to access to learn some signs when talking to Mary. I would love to hear from other teachers how they create accessibility for hearing impaired students. I wanted to share some pics of my kids during some of our Daily 5 activities. This is one of our favourite parts of the day, for both teacher and students. This is the first year I have used Daily 5 and CAFE in my classroom and although many aspects of the process makes you say, "Well I was already doing this!" I actually find that very reassuring. Here is one of my kids using our notebooks for Listen to Reading. 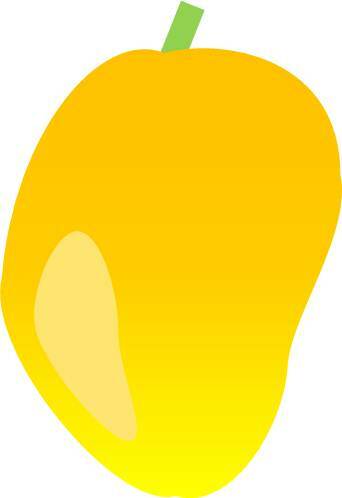 We use Storyline Online and Barnes and Noble Online Storytime as well as a number of others. This is always a favourite part of the rotations. This is a couple of my girls during Read to Someone. As a whole class we brainstormed a list of questions we could ask to "check for understanding." This list is placed in an area that is frequented for Read to Someone and is referred to often. These boys are playing hangman using their spelling words for Working on Words. Such an easy game and always a fun choice. The last pic I wanted to show is some of my boys during Read to Self. I have organised my book boxes into ability groups rather than individual ones so that resources aren't as stretched. Daily 5 has worked so well in our classroom, although we never seem to have enough time to get through it all, so it usually ends up as Daily 3 or 4 and at the moment I am scheduling rotations with groups to make sure the students are getting to all the stations. Next term I am going to trial letting the students choose and monitor which station they will be going to and record their choices. I usually call up small groups to read with me either during their read to self or read to someone rotation. I would be very interested to hear how other classrooms are operating for Daily 5. Just posted a new game on TpT! Mr Clown Pants is a great game to encourage 1 to 1 correspondence when counting to 10 and can also be used as a subtraction game. I have played this game with my kids from kindergarten to Year 2 and they love it! Obviously you differentiate for the ability level that you have. An example of this would be for my Yr 2 kids I would write numbers with a marker into the circles and they would have to throw 2 or more dice to get the amount in the circles. Another example is getting the Yr 1 kids to record the addition or subtraction as they progress through the game. Well take a visit to my store and enjoy! 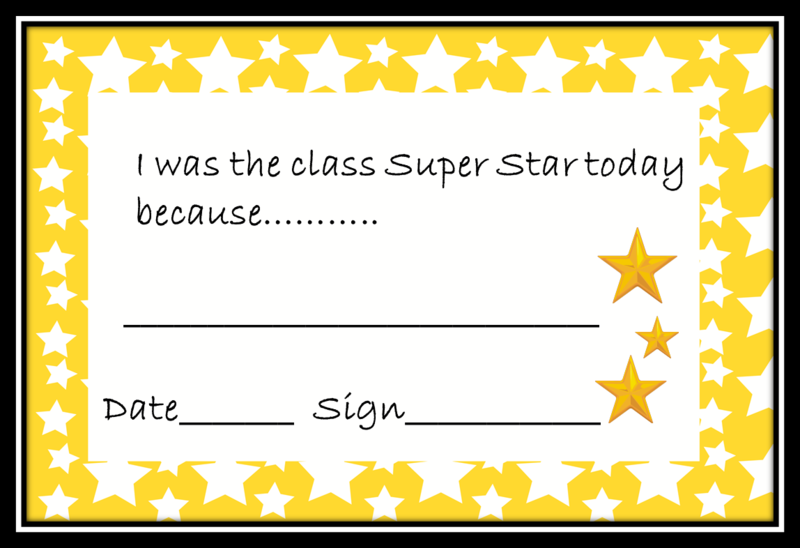 Check out my new Super Star certificates at my TpT store. They are available in 6 colours and best of all they are FREE!! 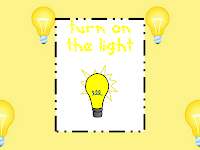 I wanted to share this new sight word game that I have made called Turn on the light. Each card has an unlit bulb on one side and a lit bulb with a sight word on the other. Students take turns to pick up a card and read or spell the sight word on the card. If they get it correct they get to keep the card, if not they have to "turn off" the light and replace the card in the pack. 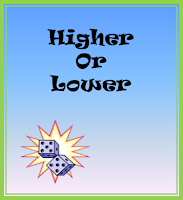 The game is based on the Dolch sight word list and there are 5 sets to cover all the sight words. If you like the sound of this you can purchase it at my TpT store by clicking on the pic below. So I wanted to share a couple of pics of my CAFE wall. I put felt on the pinboard and used velcro spots to attach the laminated strategy cards to match the concept card. I have to say I am not entirely happy with my CAFE posters and I am planning on changing them but still keep the color scheme. I also wanted to show some pics of my pencil boxes I put on the desks. We work in groups of 4 so each table has a pencil box with enough equipment for each person. Each table has a number that corresponds to the pencil box and it is the students responsibility to make up a roster for who collects it and puts it away each day. On Fridays they do scissors/paper/rock to decide who the collector for that day is. I have also made them responsible for making sure they have the right equipment in their box and if they are missing pencils etc they have to replenish it themselves. I am trying to encourage independence and self help skills as the group I have this year seem to be a little timid in the initiative area. I got the drawers from Bunnings, I like these ones as they fold down which makes it easy to pack up. When you move around as much as I do, that is really important. Here are the Winter landscapes my kids did today. We used water paints for the sky, a watered down coffee mixture as the land and a brown ink for the trees, (the white represents snowa). I dripped the ink and the kiddos used straws to blow the ink around to create their leafless trees. Very abstract I thought, but they had lots of fun and I know this because they had lots of mess to clean up (: We are going to publish our Winter acrostic poems tomorrow and then display them with our paintings. Can't wait. We are currently really focussed on using grammar and punctuation correctly in our classroom and I have to thank TpT and all the fantastic teachers creating wonderful, PRACTICAL classroom resources. This has been my inspiration to organise my classroom. 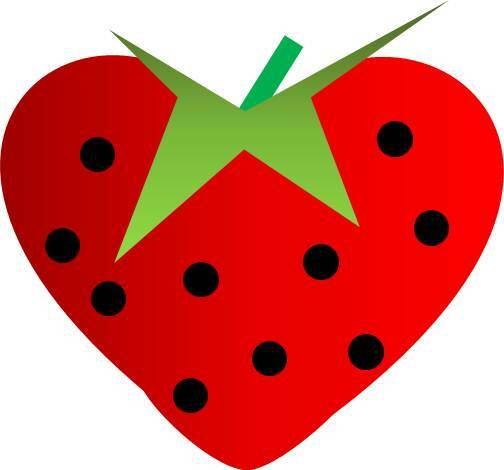 To follow my first blog I will post some pics of my new 'systems' inspired by teachers from various blogs I have started to follow. Thanks for visiting and I hope I can inspire other teachers out there the way I have been inspired.